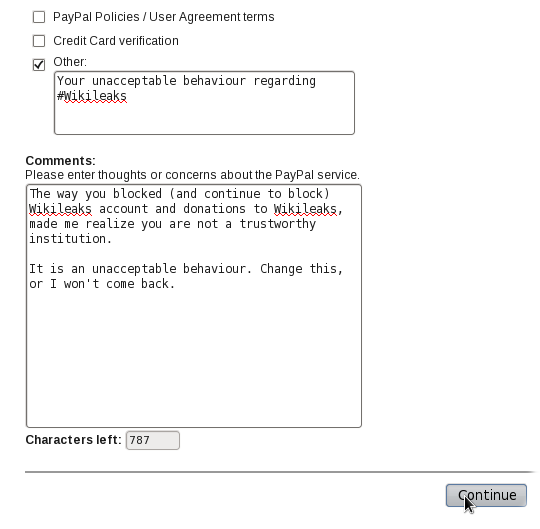 I’ve just cancelled my Paypal account because I can’t agree with their actions regarding #Wikileaks. They should not have prevented them from getting donations, either by harassing them or harassing other customers who donated (if true). 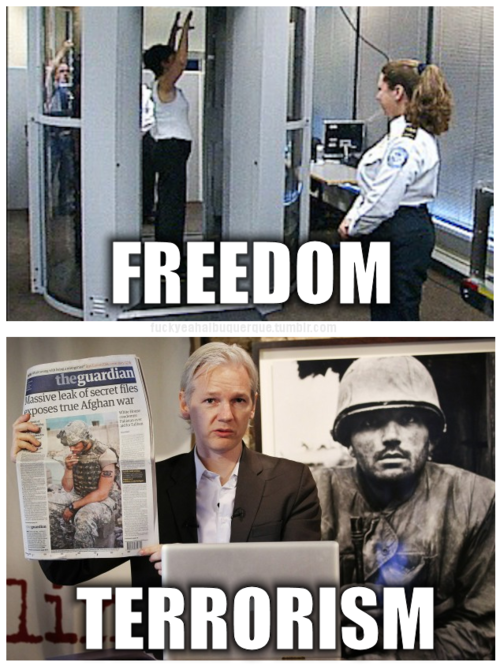 I don’t support #DDOS attacks, they’ve made my attempts to cancel the account much harder, and my cancelling of the account shows a better protest than making it harder for innocent people to do their business. Update: it was a bit hard to do because of the #DDOS, but eventually I did it.